...the National Weather Service In Fort Worth Has Issued A Flood Warning For The Following Areas In Texas... Rowlett Creek Near Sachse Affecting Dallas County The National Weather Service In Fort Worth Has Issued A * Flood Warning For The Rowlett Creek Near Sachse. ...Read More. Cowleech Fork Sabine River At Greenville Affecting Hunt County The Flood Warning Continues For The Cowleech Fork Sabine River At Greenville. * From Early This Morning To Late Thursday Night...or Until The Warning Is Cancelled. * At 0245 Am Wednesday The Stage Was 14.50 Feet. ...Read More. ...the Flood Warning Continues For The Following Areas In Texas... Elm Fork Trinity River Near Carrollton Affecting Dallas County Trinity River At Dallas Affecting Dallas County The Flood Warning Continues For The Trinity River At Dallas. * At 0200 Am Wednesday The Stage Was 32.52 Feet. ...Read More. ...the Flood Warning Continues For The Following Areas In Texas... Elm Fork Trinity River Near Carrollton Affecting Dallas County Trinity River At Dallas Affecting Dallas County The Flood Warning Continues For The Elm Fork Trinity River Near Carrollton. * At 0215 Am Wednesday The Stage Was 8.94 Feet. ...Read More. ...forecast Flooding Changed From Minor To Moderate Severity For The Following Areas In Texas... White Rock Creek Near White Rock Creek At Greenville Ave Affecting Dallas County ...observed Flooding Increased From Minor To Moderate Severity... ...forecast Flooding Increased From Minor To Moderate Severity... ...Read More. A River Flood Warning Remains In Effect For The Trinity River. The Flood Warning Continues For The Trinity River At Riverside * Until Friday Morning Or Until The Warning Is Canceled. * At 0801 Pm Tuesday The Stage Was 133.8 Feet. * Minor Flooding Is Occurring And Minor Flooding Is Forecast. ...Read More. ...the Flood Warning Continues For The Following Areas In Texas... Elm Fork Trinity River Near Carrollton Affecting Dallas County East Fork Trinity River At Mckinney Affecting Collin County Trinity River At Dallas Affecting Dallas County Trinity River At Trinidad Affecting Henderson And Navarro Counties The Flood Warning Continues For ...Read More. ...the Flood Warning Continues For The Following Rivers In Louisiana... Calcasieu River Near Glenmora ...the Flood Warning Continues For The Following Rivers In Louisiana...texas.. Atchafalaya River At Morgan City ...Read More. ...the Flood Warning Continues For The Following Areas In Texas... South Sulphur River Near Cooper Affecting Delta And Hopkins Counties The Flood Warning Continues For South Sulphur River Near Cooper. * At 715 Pm Tuesday The Stage Was 12.38 Feet. * Flood Stage Is 16 Feet. ...Read More. ...the Flood Warning Extended Until Sunday Afternoon...the Flood Warning Continues For The Black Cypress Bayou At Jefferson. * Until Sunday Afternoon...or Until The Warning Is Cancelled. * At 10:00 Am Tuesday The Stage Was 13.9 Feet. * Minor Flooding Is Occurring And Minor Flooding Is Forecast. ...Read More. The National Weather Service In Shreveport Has Issued A * Flood Warning For The Sulphur River Near Talco. * From Late Wednesday Night To Sunday Morning...or Until The Warning Is Cancelled. * At 9:45 Am Tuesday The Stage Was 15.2 Feet. ...Read More. ...the Flood Warning Extended Until Further Notice...the Flood Warning Continues For The Sabine River Near Mineola. * Until Further Notice...or Until The Warning Is Cancelled. * At 10:15 Am Tuesday The Stage Was 15.6 Feet. * Minor Flooding Is Occurring And Minor Flooding Is Forecast. ...Read More. ...the Flood Warning Extended Until Friday Evening...the Flood Warning Continues For The Sabine River Near Gladewater. * Until Friday Evening...or Until The Warning Is Cancelled. * At 10:15 Am Tuesday The Stage Was 26.3 Feet. * Minor Flooding Is Occurring And Minor Flooding Is Forecast. ...Read More. The Flood Warning Continues For The Attoyac Bayou Near Chireno. * Until Thursday Afternoon...or Until The Warning Is Cancelled. * At 9:30 Am Tuesday The Stage Was 15.3 Feet. * Minor Flooding Is Occurring And Minor Flooding Is Forecast. * Flood Stage Is 14.0 Feet. ...Read More. The Flood Warning Continues For The Angelina River Near Lufkin. * Until Further Notice...or Until The Warning Is Cancelled. * At 7:30 Am Tuesday The Stage Was 11.2 Feet. * Minor Flooding Is Occurring And Minor Flooding Is Forecast. * Flood Stage Is 10.0 Feet. ...Read More. The Flood Warning Continues For The Neches River Near Neches. * Until Further Notice...or Until The Warning Is Cancelled. * At 9:30 Am Tuesday The Stage Was 14.2 Feet. * Minor Flooding Is Occurring And Minor Flooding Is Forecast. * Flood Stage Is 12.0 Feet. ...Read More. The Flood Warning Continues For The Neches River Near Alto. * Until Further Notice...or Until The Warning Is Cancelled. * At 10:15 Am Tuesday The Stage Was 16.8 Feet. * Minor Flooding Is Occurring And Minor Flooding Is Forecast. * Flood Stage Is 16.0 Feet. ...Read More. The Flood Warning Continues For The Neches River Near Diboll. * Until Further Notice...or Until The Warning Is Cancelled. * At 9:15 Am Tuesday The Stage Was 12.6 Feet. * Minor Flooding Is Occurring And Minor Flooding Is Forecast. * Flood Stage Is 12.0 Feet. ...Read More. Floyd Oliver Salmon, age 84, of Grapeland, entered Heaven’s Gate on Saturday, the 6th day of January, 2018. He was born on the 23rd day of September, 1933 in Salmon, Texas to Jake Salmon and Edna Smith Salmon. As a young man, Floyd served his country in the United States Army. Before retiring, he was a house mover and the original creator of Salmon Lake Park in Grapeland. Floyd was a Christian and a member of the First Baptist Church in Grapeland. He was a true artist with a vision only he was able to bring into full fruition. He had a dream and he didn’t just talk about it; he made it happen. He created a home for many to have; a home away from home, at Salmon Lake Park. We are proud to call him Daddy because he took care of his wife, his kids, grandkids and many others that he would welcome with open arms to stay at Salmon Lake Park. He brought Bluegrass Music to Grapeland; something we were not so sure about, but he was sure and with the help of his dad, Jake, they created what is known today as Salmon Lake Park Bluegrass Festivals. He is preceded in death by his parents, Jake and Edna Salmon and brother, Cleon Salmon. Floyd is survived by his wife, Fannie Lou Salmon of 63 years of Grapeland; daughters, Connie Norsworthy and husband Garry of Grapeland, Carolyn Kazmierczak and husband Greg of Grapeland, Anita Lee of Grapeland; sisters, Mirnie Roberson of Grapeland, Joyce Keen of Grapeland; grandchildren, Mitchell Woody and wife Bobbie Jo, Jake Kazmierczak and wife Shelby, Ariann Kazmierczak, Sundi Lee; great grandchildren, Brendan Woody, Austin Woody, Brooke Woody and Jaxon Oliver Kazmierczak. Friends are cordially invited to a visitation with the family from five o’clock until seven o’clock in the evening on Friday, the 12th day of January, 2018 at the Sunshine Inn at Salmon Lake Park. Funeral services for Floyd Oliver Salmon will be conducted at two o’clock in the afternoon on Saturday, the 13th day of January, 2018 at the Sunshine Inn at Salmon Lake Park with Bro. Mike Powell officiating. Interment will follow in Guiceland Cemetery in Grapeland. Honored to serve as pallbearers are Tracy Salmon, Mark Salmon, Ted Salmon, Mitchell Woody, Jake Kazmierczak and Jake Salmon. Honorary pallbearers will be Quentin Shaver, Jed Mobley, Tommy Salmon and Sammy Holloway. 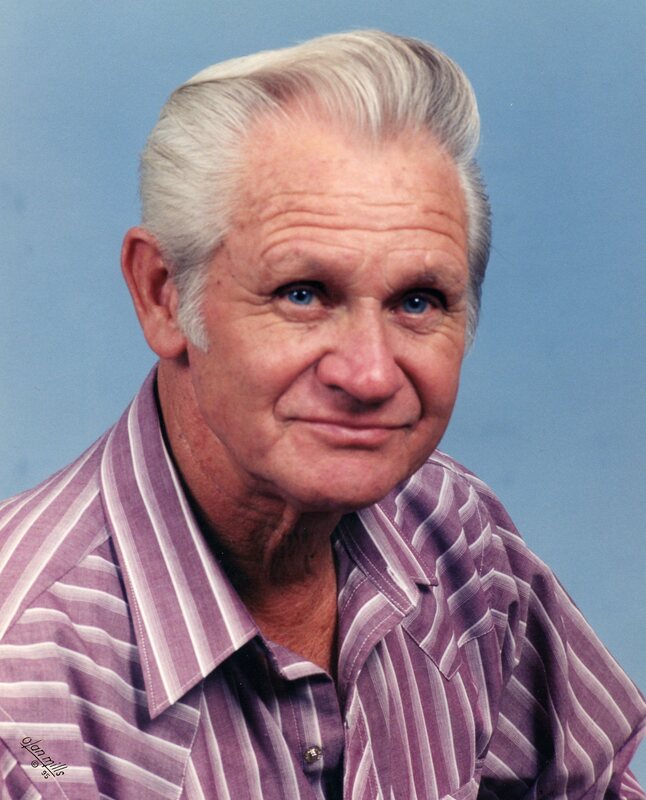 Funeral services for Floyd Oliver Salmon are in care of Rhone Funeral Home, 3900 S. State Highway 19, Palestine, Texas. To view online, leave condolences or sign the guestbook, go to www.rhonefuneralhome.com.